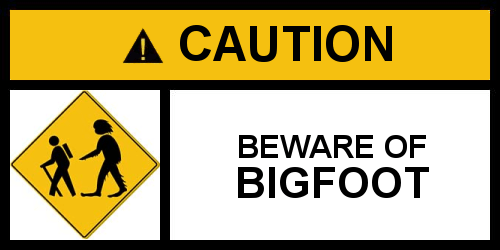 Now, I have to admit, I’ve never been a big believer in Bigfoot (as “he” is more commonly known as where I’m from), but to be honest, I haven’t given it much thought. Still, when someone’s out in the wilderness and see a large, hairy creature, I’m more inclined to think they’ve seen a bear or another person or some such, rather than a mythical creature. I’m a bit skeptical that a mammal that large could have escaped capture or even high-quality cameras for so long. It’s simply improbable. That being said, I haven’t done in-depth research on the subject, so maybe there’s something I don’t know. Certainly I would never say, “Bigfoot definitely doesn’t exist.” I just have my doubts. So what do you think, readers? Am I missing something? Is there some evidence I’m not aware of? Do YOU think Bigfoot (or yetis or abominable snowmen) exists? At any rate, the article is worth a read.